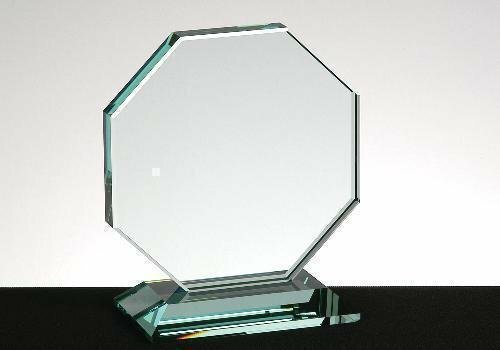 Crystal Clear Octagon Glass Award. 3/4" thick. Available in three sizes. Elegant mitered base. 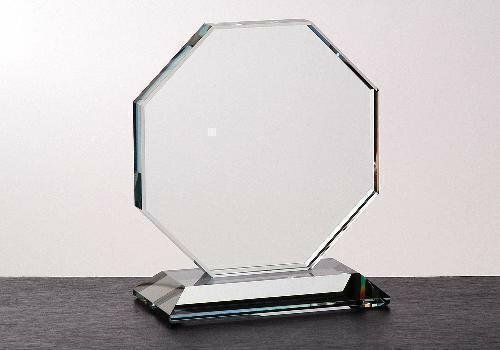 Octagon Jade Glass Award. This piece is 3/4" thick. Available in three sizes. 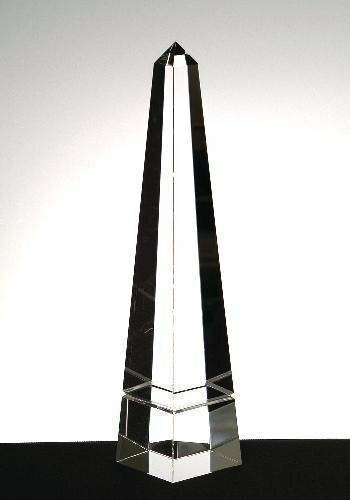 Elegant mitered base.